Rock musical Myth: The Rise and Fall of Orpheus (previously called 27) returns to London with a new title, a revised book and new songs). Again directed by Arlene Phillips and written by Sam Cassidy, it will have 9 concert-style workshop performances at The Other Palace from Saturday 10th – Saturday 17th March 2018. 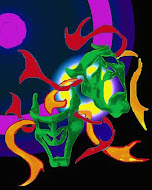 The production will be semi-staged and performed by a live 6-piece band. Final casting includes Jaymi Hensley (trained at the Brit School before joining Union J), Zoe Birkett (Rachael Marron in The Bodyguard, Thriller Live & Priscilla, Queen Of The Desert original cast in the West End), Joe Burman (Hair, Hope Mill Theatre, Xanandu, Southwark Playhouse), Richard Carson (Sky, Mamma Mia!, West End, 1st Cover Chris, Miss Saigon, West End), Eloise Davies (27, Cockpit Theatre), Amy Di Bartolomeo (Bat Out Of Hell, London Coliseum, Priscilla, Queen of the Desert, UK tour), Lauren Ellis-Steele (Wicked, UK tour), Joel Harper-Jackson (Simon Zealot, Jesus Christ Superstar, Regent’s Park Open Air Theatre, Beautiful, West End, Mr Thompson, The Curious Incident of the Dog in the Night-Time UK tour), Jodie Jacobs (27, Cockpit, Crow, Bananaman the Musical and Miss Gardner, Carrie, Southwark Playhouse), Laura Johnson (Hair, Hope Mill Theatre & The Vaults), Shekinah McFarlane (Tommy, UK tour, Hair and Parade, Hope Mill Theatre), Matthew McKenna ( Bananaman The Musical, Legally Blonde, We Will Rock You, The Phantom of the Opera, West End), Alice Martin (27, Cockpit Theatre), Jodie Steele (Alternate Elphaba, Wicked, UK and International tour), Jessamy Stoddard (1st Cover Fantine, Les Miserables), Damien Walsh (Mick Avory, Sunny Afternoon, West End, Barry, Dreamboats and Petticoats, UK tour). Full creative team still to be announced. 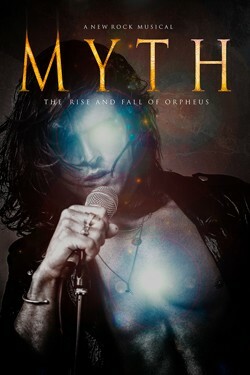 Myth: The Rise and Fall of Orpheus is a modern retelling of the Ancient Greek tale of Orpheus and the underworld, looking at mental illness and addiction in society and more specifically the rock music business, with a storyline with echoes of the tragically short lives of some of music’s brightest stars, including Jim Morrison, Jimi Hendrix, Janis Joplin, Kurt Cobain and Amy Winehouse.